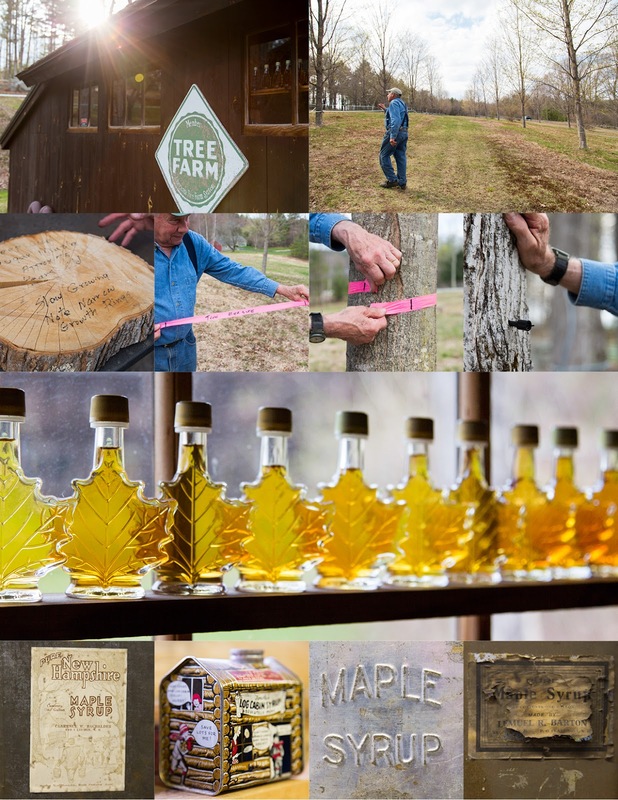 I had the privilege of heading to New Hampshire and meeting Dean of Maple Tree Farm. Throughout the 1990's working with Country Home and Matthew Mead I was introduced to the splendors of the NorthEast. Un-knowingly I was buying Deans Maple Syrup from local shops and bringing it back to friends in NYC as a gift...Well The Maple Syrup is like no other and I was fortunate enough to learn why and finally meet Dean, He is an Amazing and Wonderful Man. He gave me a gracious tour of his property and trees. I was amazed how much goes into maple syrup and yet how thoughtful, productive and efficient he has made it. He is such an honorable character and it shows in the integrity of his product. Check out his web-site there is a wealth of knowledge and ideas about maple syrup .... Consider its other possibility..... Its not just good for pancakes.